I bought this concealer in New York in the January, over 12 months later I still had product left to work with. 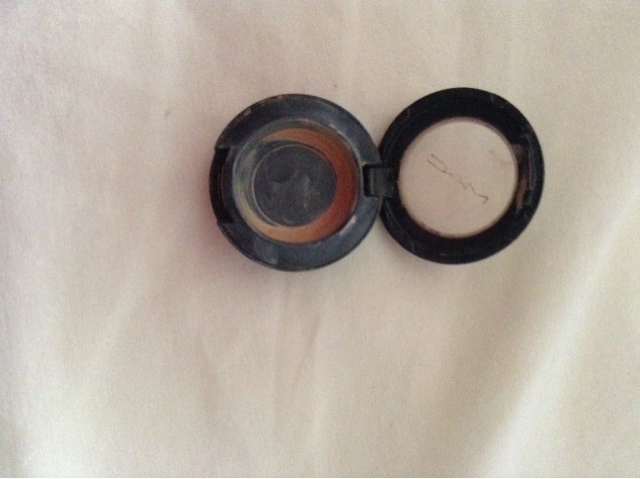 I literally used this concealer almost every day so it is definitly good value for money. I think it's around 13.00-15.00 pounds and it comes in a wide range of colours. Always remember to go for a concealer shade that is 1 shade lighter than your foundation. Having a dark concealer will only accentuate what you are trying to cover! Especialy when wearing concealer under your eyes, having a lighter concealer is essential as it will help reflect the light, making your eyes look bright, beautiful and wide awak! I believe that this concealer will work great on different skin types, however for people with dry skin like myself, or ageing skin, this concealer is very full coverage therefore the product is quite thick. For dry skin, make sure it is blended in extra well and adequate moisturiser has been used prior to applying this, as it will stick to dry patches. For those of you whos skin is ageing, wrinkles, and reduced elasticity is present, then I personally wouldn't advise you to use this product as it's texture is quite thick, and if not applied correctly it may add to premature ageing of the skin. Makeup finish: When going for a dewy look, I would apply this concelaer under the foundation, because of it's matter finish, it wouldn't do a great job over the top of a dewy look. If you want to highlight and open up the eye, apply this concealer underneath the foundation, and then apply a highlighting liquid concealer over the top. For a matte finish, I would apply this concealer over the top and/or underneath my foundation. It is good for covering up blemishes and spots however I couldn't say that it lasts for a long period of time. Best way to apply: Use tip of ring finger and gently dab on. Over eye area, gently blend in using your ring finger and avoid pulling or dragging the skin as this will damage the eye area and bring on premature ageing and the skin will sag due to loss of elasticity. Another option would be to apply this concealer and blend in using a small contouring brush. So to finish off this post, I would definitly reccomend this product if your looking for a mattifying, full coverage and long lasting cover for under your eyes! Although if your skin is ageing, and has a loss in elasticity, I think there are much better concealers on the market that would be better suited for your skin type. Whats your favourite concealer? Tweet me @alystephens, instagram me a photo or please leave a comment below as I'd love to hear what you think!